Studio Automatic | Blog Post - Backstory: "Sister"
Welcome , to the community of artists and songwriters. agrees that all work performed for Customer shall be considered as “works made for hire” in accordance with the law. You own the copyright to do with what you will. Our turnaround time is 5-7 business days from receiving your song. When ordering sessions, wav files, stems, etc. please allow an additional 2-3 business days after approving your recording for bouncing and uploading tracks. In some very rare cases, we reserve the right to extend our turnaround time. You will be notified. If you fail to respond to an order within two weeks, the order will be automatically approved. Mixing and mastering is included in each package. NOTE: we provide one mix edit for no charge. Mix edits range from vocal adjustments, instrument adjustments, EQ notes, etc. Round 1 of edits not to exceed 6 specific adjustments. *Additional edits (6 adjustments each) 100.00 per edit. Modification requests must be provided within 5 business days from receiving your mix. We anticipate your complete satisfaction. If, however, you are not completely happy with your recording, we will provide a partial refund. We cannot offer a full refund. We have to hire professional musicians, engineers and mixers. They have to be paid. Music is subjective. So, you could respond by not liking the particular mood or feel of a song. That said, we will provide a 50% refund after receiving good cause for said refund. only maintains your tracks for a period of two months following the completion of each project. It is your responsibility to purchase, download and store the source tracks of the master within that time period. is not responsible for loss or damages caused by using its services. The customer waives the right to bring any legal action(s) against and/or its staff due to any damages or loss, financial or otherwise, resulting from customer’s use of our recording, tracking, mixing, editing, mastering or consulting services. reserves the right to refuse service at its discretion and/or terminate service at any time. A high-quality simple acoustic recording. Standard Nashvile package that probably half of the writers on Nashville's music row turn in to their publishers. This is what the other half of the pros shoot for. Same as the Standard package but with real drums and more instruments. This is the most complete package we offer. Same as the Pro package but you also get a pro level Producer to work with. Mix & Master your song, up to 48-tracks. Master your already mixed song. Vocal tune your lead vocal track. $39/each additional track. Our pro songwriter will give a detailed critique of your song. You sing it. We send you the instrumental version, you go into a local studio, or you can cut vocals in your own home studio. We sing it. provides a singer to cut vocals on your song. Just tell us what style of singer you want. mixes and masters your song. You mix the song, after our musicians record all the tracks. You then send it back to us for mastering. You mix and master the song, after our musicians record all the tracks. Enter a working song title You must enter a working song title to continue. + Includes a pro level Producer. Our songwriting pro will give you a detailed critique of your song. We sing it. provides a singer to cut vocals on your song. Click the ADD TO CART button below to add this package to your shopping cart. I've decided to do a few short backstory blogs about some songs I've written over the years. I wanted to come up with super catchy name and settled on…um, backstory. 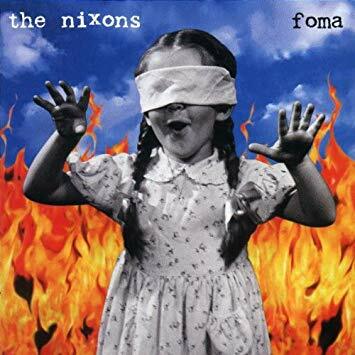 Here's one about a song I co-wrote with my band The Nixons that appeared on our MCA Records release Foma; "Sister". The reaction this one got and still gets in some ways has always fascinated me. The reason being, I didn't lose my sister. Nothing bad happened. Quite the contrary; she just moved. Right out of college she took off to L.A. And this song was a direct response to that. The tag line is pretty on the nose: "sister I miss you." I had written her a post card from wherever I was at the time that included a few lyrics "the miles that stand between can't separate" and "I see you on a stage of memories" (okay some semblance of what became final lyrics but you get the picture). I kinda had some beginning structural ideas come into my brain and ran into band practice one day in our Norman, Ok rehearsal room. The guys very quickly manned instruments and began chopping away. I especially love the outro which is a variation of the chorus really just adding one e minor chord each go round which created a dark but, I think, hooky rolling ending. The song went through a few modifications and finally appeared on both our independent LP Halo and the aforementioned Foma. That intrigue with the reaction to this song is also a huge point of pride. I have probably gotten hundreds of notes over the years about the song bringing people closer to a sibling; helping people cope with losing one or quite frankly just reminding them to give sis a call. This song did a lot for my band and ultimately my path in this music business. There you go: the backstory of "Sister." Pieces of a Song Pt. 1 "The Verse"
The premier online recording studio. Give your song the quality it deserves! Please come find us on social media! 2015-2018 © STUDIO AUTOMATIC All Rights Reserved.